It plays more like ML. As addicted I am to ML and other similar games on GREE, I can't see myself getting into this. Someone tell me if there's traps hiding in there somewhere. So far I've seen more dudes who look like girls than anything, Annie. I don't think this game will really need extensive English guides. Most of the other mobile games were pretty simple or you could always just pull out Google Translate and memorize some of the menu functions. ...And yet Ryo isn't one of them. They went ahead and made a new trap pads and wig and all instead of using one they already had. One with a lot of fans. 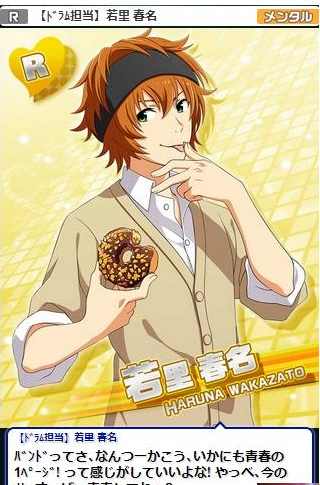 Seriously this is Gaius and nobody can tell me otherwise. So if they've officially broken away from 961PRO and joined 315PRO, where does this leave "Gold Productions" (the company they defected into in their manga series)? 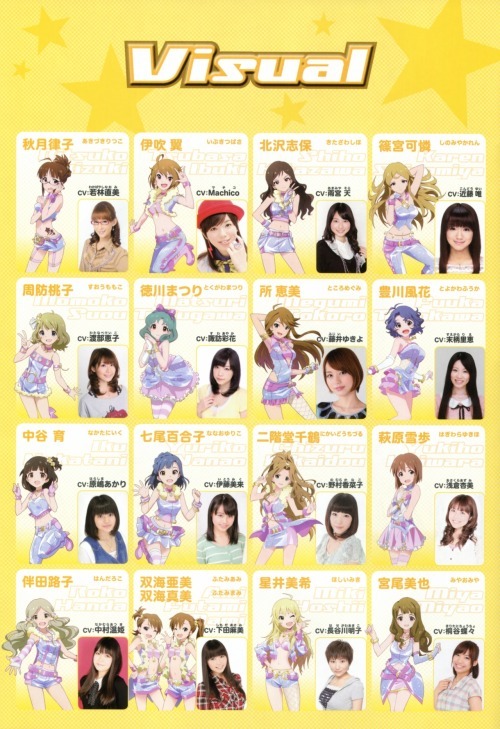 As in "freelance idols", since they are following the iM@S Anime plot. Gold Pro could've been one of their many short term idol jobs that they have. On the side note: Has anyone confirmed the gender of the Producer of this game yet? Because people have been chatting about whether it's a Male P or Female P.
................ Alright, we all know what's coming. Is this still under maintenance or did they do another maintenance break? I see they've got the chuunibyou slot covered as well. 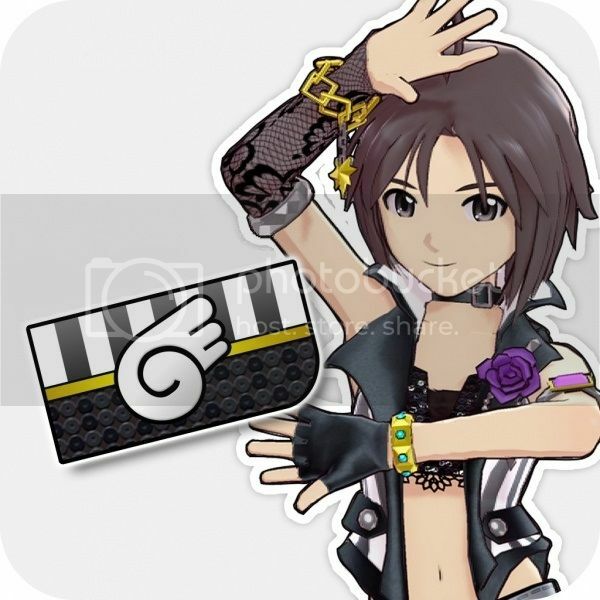 With his corner-cut dancing in his role of the trio in IM@S 2, I always assumed he was image. It's a common issue with the mobile card games. 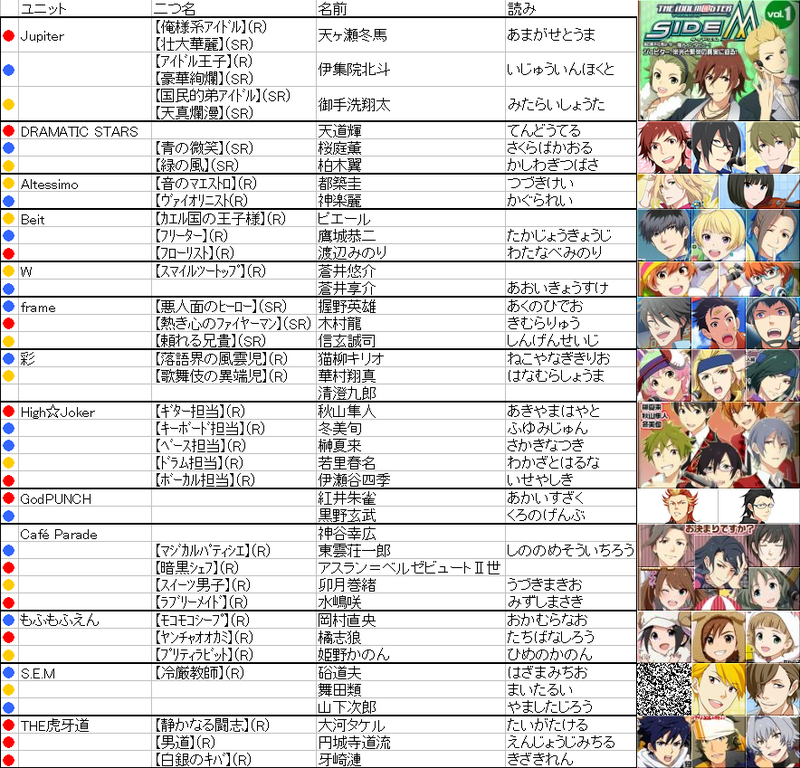 All the well-established idols (765Pro and Jupiter) are always mixed up when it comes to what types they are. 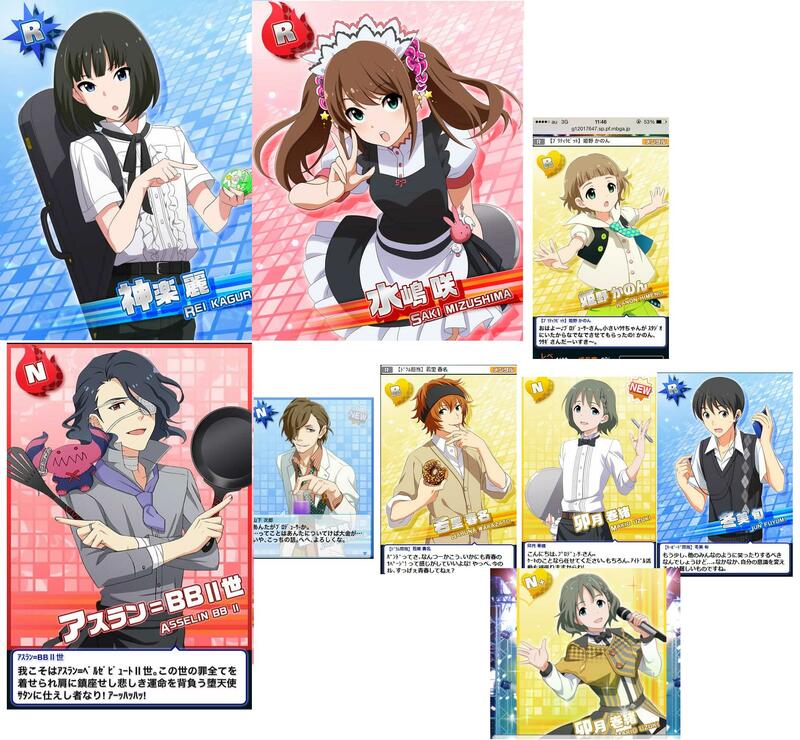 The worst, imo, are placing Yukiho and Iori in the Passion Category and Makoto and Hibiki in the Cute Category in Cinderella Girls, when it really should be the other way around. Million Live had a similar issue with the Futami Twins being considered Visual and Iori being considered Vocal, when the Twins were usually Dance and Iori was usually Visual. It's something that always bothered me with the mobile games and here its at its weirdest. The little boy who can do backflips and cartwheels on stage is Visual and the Handsome (no homo) young man who's specialty is being charming is Dance? Sure, Namco Bandai. Sure. In any case, not a lot of people catch that the CG placement was because of the PSP games. Wandering Star was Passion with the exception of Takane being switched for Miki, Perfect Sun was Cute, and Missing Moon was Cool. The Twins are with other Visual Idols here.